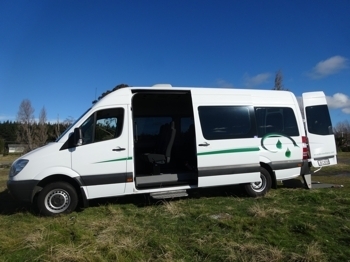 Our Vehicles - Accessible Kiwi Tours, New Zealand - New Zealand's leading tour company in meeting the needs of mature travellers and those with special needs. 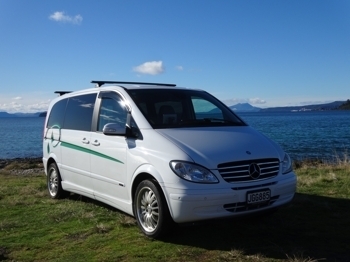 New Zealand's leading tour company in meeting the needs of mature travellers and those with special needs. Luxury Appointed and Air Conditioned. Wonderful cruising for a couple who want a personal tour and who can step into a vehicle. Plenty of room for luggage and a manual wheelchair or fold down scooter if required. 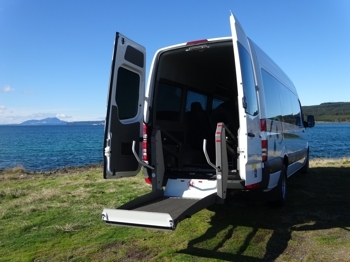 Specially modified with anchor points for two wheelchairs with entry and exit via a rear hoist rated at 350 kilograms (770lbs) so electric wheelchairs with an occupant are no problem. 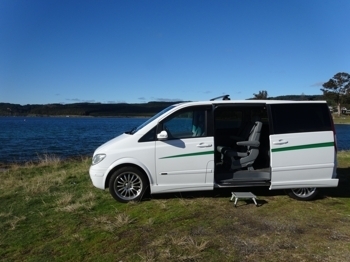 The vehicle is fitted with transfer seating in comfortable chairs and very tall windows which make for excellent touring with panoramic views from all seats including wheelchair passengers who are not able to transfer. 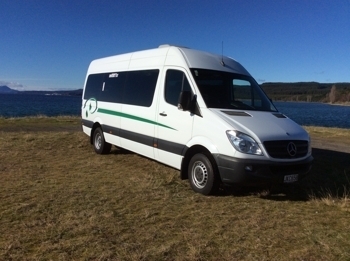 Heated and air-conditioned for winter and summer touring and fitted with a microphone system to ensure all can enjoy information whilst touring. Plenty of luggage space which is securely stowed in the rear.